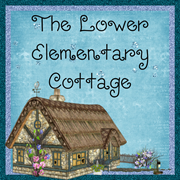 The Lower Elementary Cottage: NEW!! Money Centers! Social Skills Posters! Happy Thanksgiving everyone!! Before you think I'm not spending time with my family, I must say...my family is weird! We do Thanksgiving breakfast instead of dinner (my sister is vegetarian and couldn't care less about a turkey, and we have tiny family). So we were done with our family stuff by noon! I've already had my fair share of waffles, ham, country potatoes, and coffee with Bailey's. Yum! 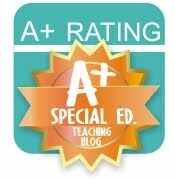 I know the word is spreading like wildfire... both TPT and Teacher's Notebook are having HUGE sales! In celebration of this event I've been working hard on *brand new* items for my stores! For my Teachers Notebook shop it will be 30% OFF plus the additional 10% off sponsored by the website Saturday through Monday. That's my biggest sale ever! On TPT I will have all products 20% OFF on Monday and Tuesday with an additional 10% OFF from TPT with the promo code CMT12! My Social Skills Reminder Cards are continuously one of my biggest sellers. I decided it was time to turn them into beautiful posters that can be displayed in the classroom. I was thinking these would be great to use for "focus skills" each day (or week). We often teach social skills, but kids need to hear some things many times for it to stick. My class this year is thriving on my posters! I love watching them run to look at their color words, ABC formation and social skills reminders displayed around the room. I'm starting to run out of wall space... I've learned to trade my posters in and out depending on their needs. 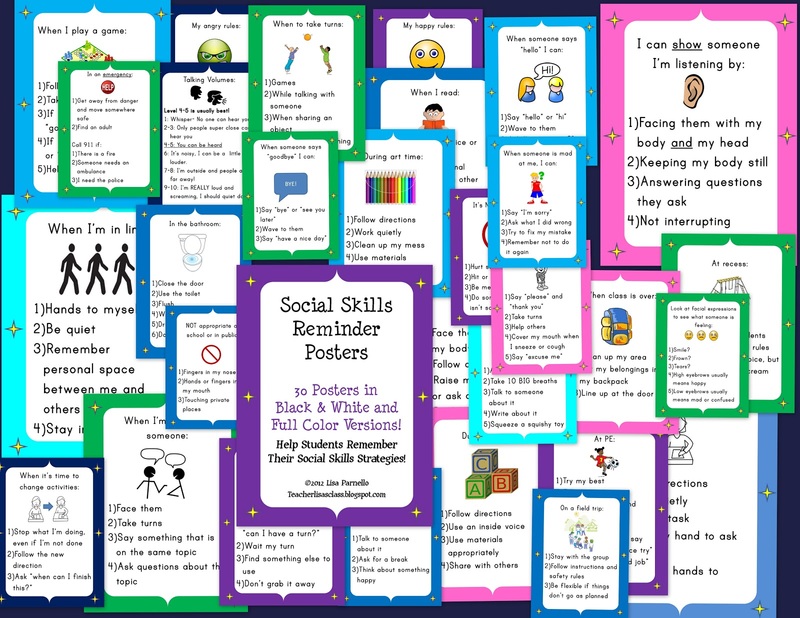 This Social Skills Poster set includes 30 social skills in both full color and black & white versions (60 posters in all!). My kinder kids are going to start learning about money before Christmas break so I decided I should get a jump on making their learning centers. I have TONS of money activities for the older kids (1st/2nd) but very few that are easy enough for my littlest learners. I created this set of 5 centers to get them going on their first round of money madness. 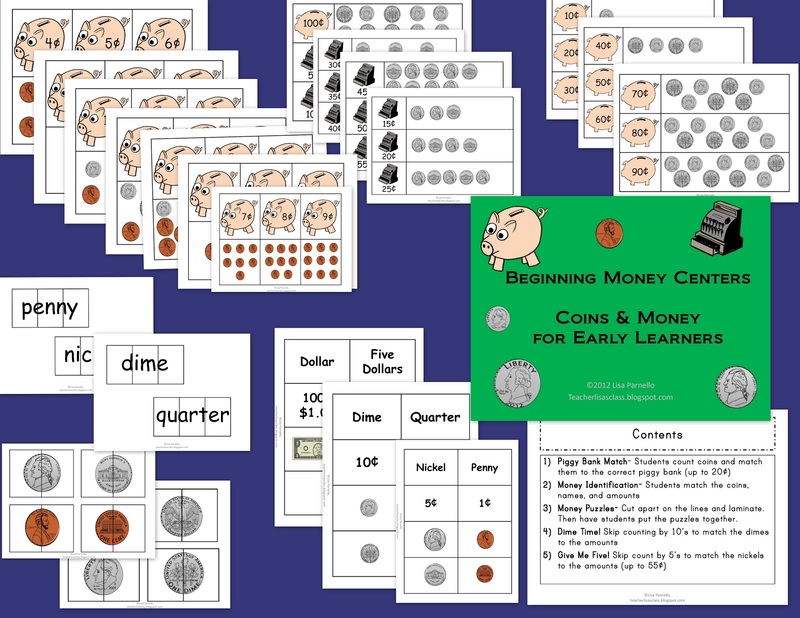 This set of 5 centers is designed for the earliest learners as they begin to grasp the concept of money. 3) Money Puzzles- Cut apart on the lines and laminate. Then have students put the puzzles together.